Use the links below to renew your subscription or give a gift. Air & Space magazine opens the door to adventure in flight and space travel with features on the history and technology of aerospace. There's something for everyone in every issue. 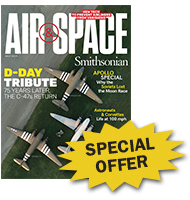 Your gift includes Air & Space magazine plus all other benefits of membership. You'll receive, free of charge, handsome gift cards for each recipient so you can send your own personalized greeting. With a gift of Air & Space, at just $29, you'll save 40% on a gift that will remind your friends of your generosity all year long. We are unable to process orders without an email address, as this is our only way to contact you regarding your order. 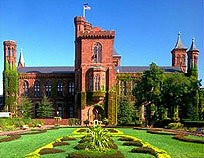 Yes, I would also like to receive information on programs, offers and specials from the Smithsonian and its partners. Please fill out all fields for gift recipient 1. Please fill out all fields for gift recipient 2. Celebrating the human achievement of flight from great aerospace moments of the past to exciting new discoveries in our exploration of the skies and beyond. Carry with pride and know that your membership is supporting the Smithsonian's world-class exhibitions, ground-breaking research, and renowned public outreach programs. 10% off meal purchases at select Smithsonian dining facilities in Washington, D.C.
Special member rate for tickets to the Smithsonian's IMAX theaters and Einstein Planetarium. Visit the Smithsonian's Cooper-Hewitt, National Design Museum in New York City at no charge for members. To learn more, please visit http://cooperhewitt.org/. For questions about your membership, please visit our online help desk. Your first issue will arrive in six to eight weeks. All profits from the magazine support the institution. Ninety-nine percent of membership dues are allocated for Air & Space magazine. Member discounts may vary. Air & Space is published seven times a year, but may occasionally publish special issues.